If you are a business, car club or member and you have an event or an announcement you would like to post, please e-mail the information you would like listed to Bruce or Sandy at historycruzer@historycruzer.com or contact us at 651 261-8031 or 651 253-1706. 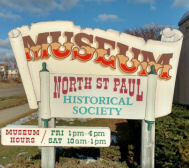 The North St. Paul Historical Society Museum is located at 2666 E. 7th Avenue. The museum is open Fridays from 1-7pm during the car show. Volunteers are available for free tours of the museum. The museum displays tell the story of Henry Castle and how North St. Paul was founded. We have past North High year books and other great memorabilia. 651 779-6402 for more information. The Friday Night History Cruze will once again work with K & J Catering to offer the History Cruze Friday Night Buffets Specials. For full listing of menus, dates, times and prices, go to K & J Catering. 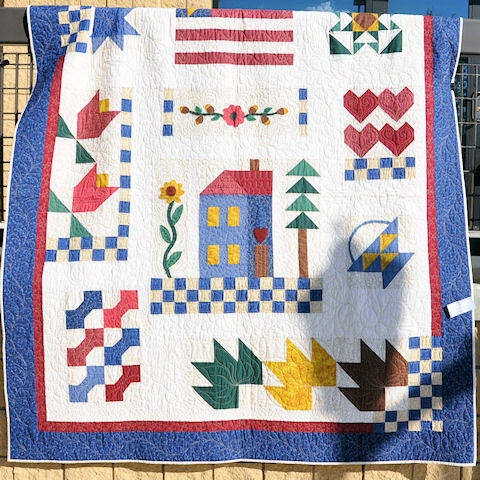 Enjoy the creative talents of the Northern Material Girls Quilt Guild as they display quilts, wall hangings, table runners and much more during the Friday night History Cruze, on the east end of 7th Ave., between Charles and Margaret. In front of the building at "Kendall's Corner". 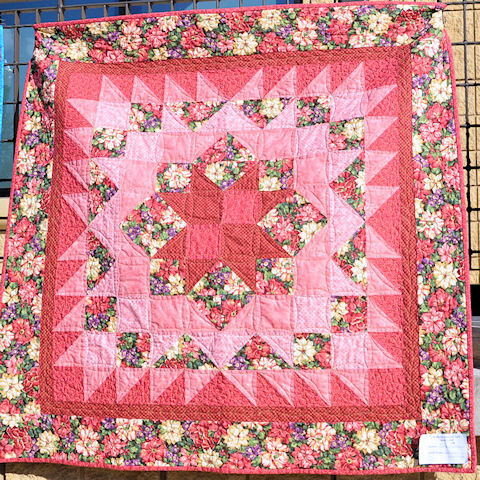 Guild members will be there to answer questions and share their passion for quilting. Come out and visit the St. Paul Police K-9 Foundation. They will be at the car show on Friday, August 16 & Friday, September 13, 2019. They will have merchandise available for purchase which will benefit their non-profit foundation. 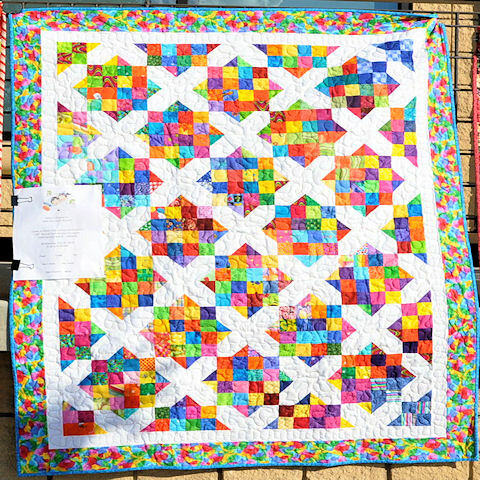 They will be located in the paved lot on the south side of 7th Avenue across from the post office. 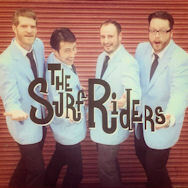 North St. Paul Beach Party Fundraising Event! 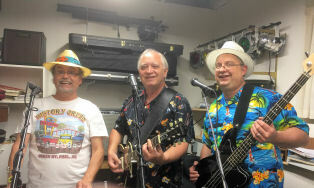 This fundraiser, The Silver Lake Splash, takes place each July and the proceeds go to the Beach Fund. The event is held at the Silver Lake Beach. Click here for map and directions. Band dates subject to change without notice. 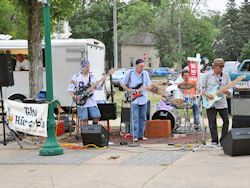 These bands are only for the History Cruze Car Show. We do not advertise or book for K&J Catering, Neumann's Bar and Sidewinders. You will need to contact them to find out any info on their bands. 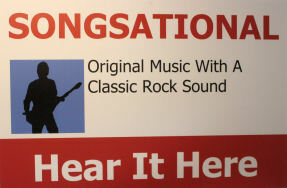 plus a variety of classic rock in a blues format. 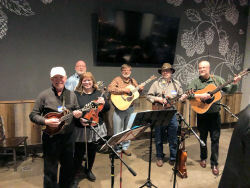 Sound Advice plays a wide variety of classic rock including selections from the Beatles, Paul Revere and the Raiders, Buddy Holly, Eric Clapton and a host of one hit wonders. With the use of a programmable drum machine, the band plays a lively variety of dance-style selections mixed with rock ballads for a fun and enjoyable evening of music that we feel would be extremely popular. 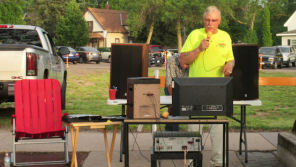 DJ/Karaoke will fill in at the car shows when bands are not availalbe. Joe will fill in across from Neuamann's or by Sidewinders. Otherwise Karaoke is set up by River of God Church. Check out the calendar for locations weekly. 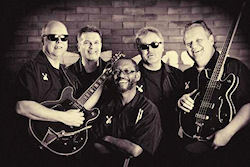 with enthusiasm and inspiration. In addition to 4-part vocal harmonies, they also heat things up with lots of high-flying instrumental solos, including sax and flute. 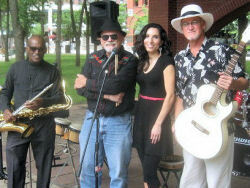 Joe Meyer has released two full-length CDs featuring his band. 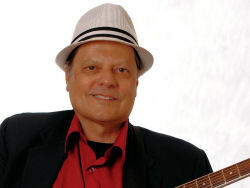 His original songs are receiving worldwide radio airplay resulting in fans from US, Canada, Japan, Mexico, Australia, Great Briton, Israel, along with counties of Africa and South America. Brians song list goes through a Great American Songbook that includes Irving Berlin, Hank Williams, Bob Dylan and the Beach Boys. Its a joyful sampling of the best music of our lives. Forrest Miller and the Lodge Boys hail from St. Paul, MN and have been praised for their raw, driving sound and their multi instrumental musicianship. 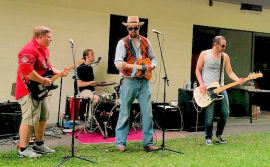 They specialize in Outlaw Country and Southern Rock with a funky edge. 6:30-7:30pm. March commencing from the North St. Paul VFW Post 1350 and will head east along 7th Avenue and north on Margaret St. to Veterans Park. For Questions Call 612-414-8796 or 651-457-6079. Each year in the City of North St. Paul a fall parade takes place along 7th Avenue in downtown. This years Fall Round-Up Parade will be held on Thursday, September 19th at 6:30PM. Food vendors will be on the streets for your dinner, grab your lawn chairs and find a spot along the parade route to watch the parade. Parade Route: The parade will head east along 7th Avenue from 1st Street to Henry Street (Henry St. is one block west of Hwy. 120). Seventh Avenue, along with the adjoining side streets will be closed starting at 5:30 p.m. until approximately 8:00 p.m. Street Closure Map. 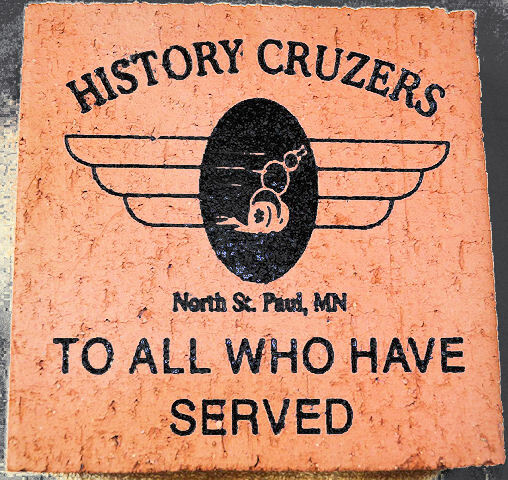 The Round-Up Parade is sponsored by the North St. Paul Business Association and the North St. Paul History Cruzers! Fun for the whole family! You're invited! North St. Paul's Fire Engines, Police Cars, Dump Trucks and more will be on display! Learn about police and fire safety. It's a great way for us to show the community the equipment we use and what we do said Police Chief Tom Lauth. Learn about the Police Reserve and the Fire Explorer Programs. BIG trucks will be on display at the former City Hall site (2526 7th Avenue across the street from Neumanns). For more info, contact City Hall at 651 747-2504. Tour the fire station and check out the equipment that the North St. Paul Police and Fire Departments use to keep the community safe, including the SWAT vehicle and the Fire Departments new Rescue 540 Truck and the ambulance. There will also be many activities for kids. The History of Veterans Park is available in booklet form at North St. Paul City Hall. It is a complimentary gift to all who purchased a paver in Veterans Park since the beginning and for new purchases. Please provide the name of the veteran inscribed on each paver for our records. Extra copies are available for a $5 donation to the Veterans Park, Inc. Fund. Go to Veterans Park for more info. 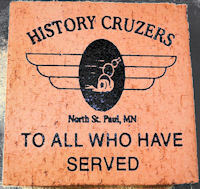 You can order Memorial Pavers and Honor our Heroes for the North St. Paul Veterans Park. Click here for the Memorial Paver Order Form. You can contact Carl Hurtgen at 651.770.6022 or Dan Fisher 651.777.2406 if you have any questions. The Veterans Park is also on facebook. Stop by with your furry friends, dog owners know that we care about them and friendly ones are always welcome at our show. Shear Elegance Pet Grooming is offering free nail trimming, water and treats to our 4 legged friends. Our furry friends must be of the K9 variety and willing to participate. which supports Youth Health and Wellness Programs across MN. Cheerleaders & dates subject to change without notice. Location - Norm's Tire Sales. 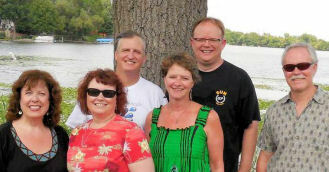 Located at 2767 Long Lake Road, Roseville, MN. Phone: 651.483.4591. Send pre-registration to: Cops-n-Rodders, 713 Minnehaha Avenue East, Suite 213, St. Paul, MN 55106. Contact Kathy @ 651-771-4541 if you have any questions. Come join our 14th Annual Canadian Days Classic Car Show. Check-in begins at 9:00. Show starts at 10:00 a.m. (Preregistration is recommended). 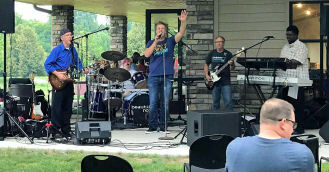 The location is Spooner Park, 350 Eli Road, Little Canada. Show Cars: Pre-1986 Makes and Models welcome. Tractors and Motorcycles are welcome too! 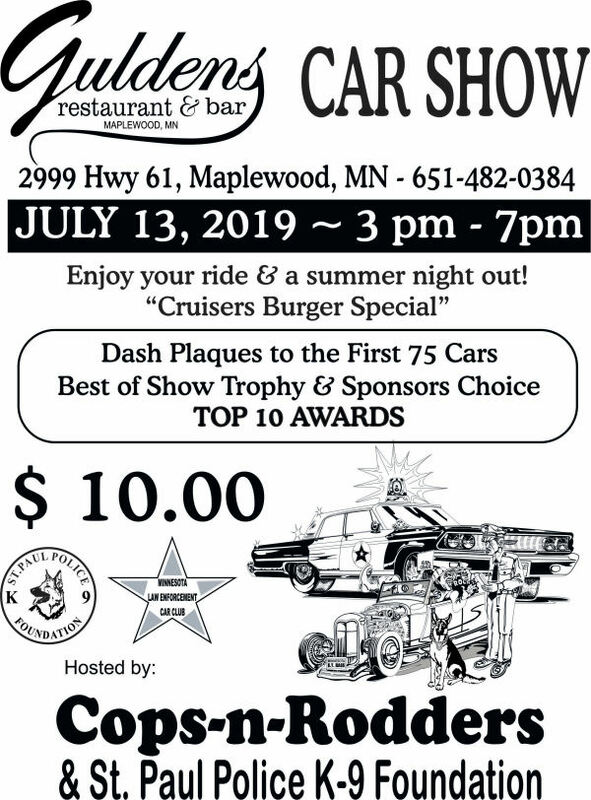 Many Door Prizes ~ Awards / Prizes awarded at 3:30 p.m.
Cruisin' on the Croix invites owners and car lovers to exhibit and view vintage, classic, street and hot rod automobiles in a beautiful river town stetting of Stillwater, Minnesota. We have dashboard plaques for the first 250 cars and a terrific crew to welcome owners into the show. From genuine antique cars to sublime '50s roadsters, visitors can see it all! Cruisin' on the Croix is Stillwater's Hot Rod & Vintage Car Show held selected Wednesdays starting in June, 2017. Live music, food & vendors! The time is 5pm to 10pm. For more information contact: Tom Brewitz at Cornermark 651-253-3699 or Frank Fabio at Maple Island Brewery 651-430-0044. Official show times are 5:00pm to dusk. Cars 1981 and older are welcome. Enter at 4th Avenue and Van Buren St. (1 block north of Main Street). Donation for show cars is $3.00 per show at the entrance gate. 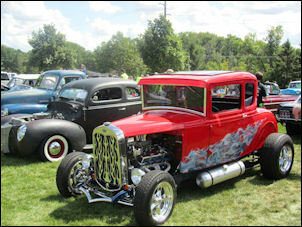 Click here for Anoka Classic Car Show website. Hastings has the perfect setting for a great car show. Beautiful buildings, scenic streets and friendly folks. Join the fun every other Saturday evening from 5-9pm with the Cruise-In's in downtown Hastings! All cars from 1976 and older are welcome. 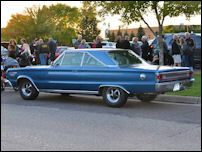 Click here for Hastings Saturday Night Cruise-ins info. 9am - 2pm at 2510 Curvecrest Blvd, Stillwater, MN 55082. All cars trucks and cycles are welcome. Show judging to be done by spectators and entrants. We are having a Portable Dyno (with a "guess what power contest"), Mobile BBQ Truck, Culver's Frozen Custard Cart, and other booths/events for non car enthusiasts. Door prizes and raffles (proceeds from the raffle to be donated to local charity). All cars and motorcycles are welcome! If it has wheels, it's welcome! Come join us for a day of music, cars, people and fun! Registration Fee $10.00. All proceeds donated to Tyler Shipman Memorial Scholarship Fund at Frazee High School. Wheels For Wishes is a car donation program benefiting Make-A-Wish® Minnesota. We are proud to offer a free and easy way to recycle or donate unwanted cars, trucks, motorcycles, SUVs, RVs, or even boats, by turning them into a wish for a local child. We pick-up or tow away cars free of charge, anywhere in Minnesota, whether they run or not. Vehicles are either recycled or auctioned off and 100% of the net proceeds benefit Make-A-Wish Minnesota. Since we are a tax-exempt charity under section 501(c)(3) of the IRS Code, you also receive the maximum possible tax deduction for your charity vehicle donation. For more information go to Wheels For Wishes. The Marketfest Classic Car Show is open to all makes and models of classic and specialty cars. Show car parking on 4th Street is open from 5:30 pm to 6:00 pm on a first come basis. An exit is available if needed, but we encourage those that can stay to please plan on staying until the end of the event at 9:00 pm doing so will help us control car and foot traffic in the area. If you are a member of a car club and would like to be a featured club at Marketfest, please contact us to schedule a date for reserved parking. Please note: Marketfest personnel will be on site to prohibit bicycles and skateboards from the car show area. Signage instructing visitors to look but not touch the cars will also be in place. The first 50 receive a participation plaque. Visit our Photo Gallery on Facebook. Our website is Marketfest Classic Car Show.